The social network Google+ will soon allow people to use pseudonyms. 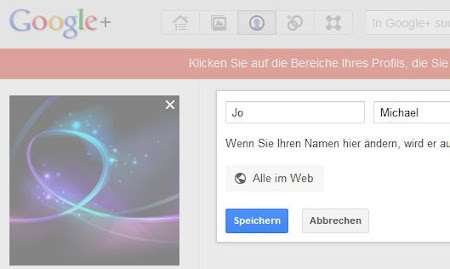 Until now, Google has enforced Google+ users to enter their real names. You were not allowed to use a pseudonym, even company names were forbidden. Yet, this attitude has caused much critics. The opposers argued: Nobody can enforce people to use their real names on the Web. In some countries, it is even dangerous to use your real name on the Internet. In any case, many people don’t like to go online with their real-life name - for example while talking about diseases or other personal matters. This attitude should be respected. Google and other people against pseudonyms in the Web argue that browsing the Web with your real name increases the discussion quality. Furthermore, people on the Web can be identified easier if necessary. Yet this advantage was no real one, as Google did not check whether the “real name” that you entered were really correct. Now on San Francisco’s Web 2.0 Summit, Vic Gundotra, Senior Vice-President of Social Business at Google, declared that in the future, Google+ is going to allow pseudonyms and other forms of identity. Possibly being company and artist names. The manager did not add information about when this change will be applied.